18-year-old Robert Domingos and 17-year-old Linda Edwards were high school students living in Lompoc, near Santa Barbara, California. On June 3, 1963, Robert and Linda decided to spend the senior “ditch day” together at a secluded spot on Gaviota beach. Robert parked his car in a turn out off Highway 101 and then hiked down the steep trail to shore below. Gaviota Beach, near Santa Barbara, California. No one knows the precise timing and sequence of the events that followed, but, at some point, a man apparently confronted Robert and Domingos. He was armed with a .22 caliber weapon, possibly a rifle. Investigators believed that the man produced pre-cut lengths of rope and ordered Linda to tie-up Robert’s hands. After that, the man may have tried to bind Linda’s hands, but, Robert somehow freed himself and fought back long enough for the couple to run away. The man apparently shot both Robert and Linda in the back and they fell to the ground together. The man then reloaded his weapon and fired many more shots into the victims. Robert was shot 11 times and Linda was shot 8 times. The man then dragged the bodies to a makeshift shack and threw the victims inside. The killed collected the couple’s belongings and tossed them into the shack, too. He then tried to use matches to set fire to a blanket hanging on the shack in a failed attempt to destroy evidence. The fire went out and the man left the scene. 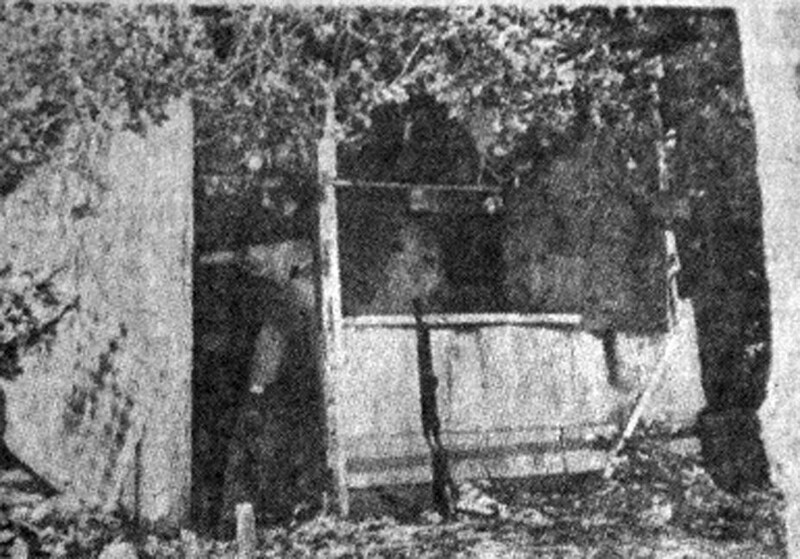 The bodies of Linda Edwards and Robert Domingos were discovered in this shack. The couple’s parents became concerned when the teenagers never returned home. 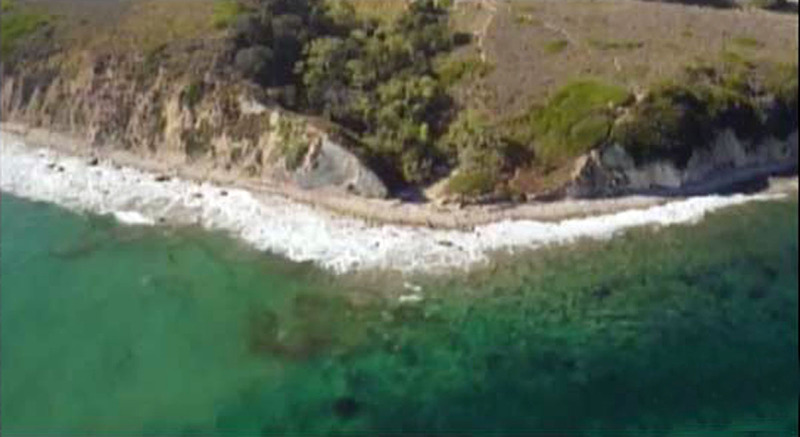 A member Robert’s family remembered that the couple had been to a spot on Gaviota beach. Mr. Domingos and others went to the location and discovered Robert’s car parked there along Highway 101. The discovery of the murdered teenagers shocked the community. Investigators recovered the evidence, including the burned matches, shell casings, and other material. Some leads seemed compelling but the case remained unsolved at the end of the decade. In 1970, Detective Bill Baker was assigned to the cold case in the Santa Barbara Sheriff’s Department. Baker examined the evidence and sent out a teletype to other jurisdictions seeking any information on possible similar cases. Baker was contacted by San Francisco Police Department Inspector William Armstrong, assigned to the Zodiac investigation with his partner, Inspector David Toschi. Armstrong told Baker that he believed the Zodiac may have killed Robert Domingos and Linda Edwards. According to Baker, Armstrong said he would never think of the Zodiac crimes again without including the 1963 case. 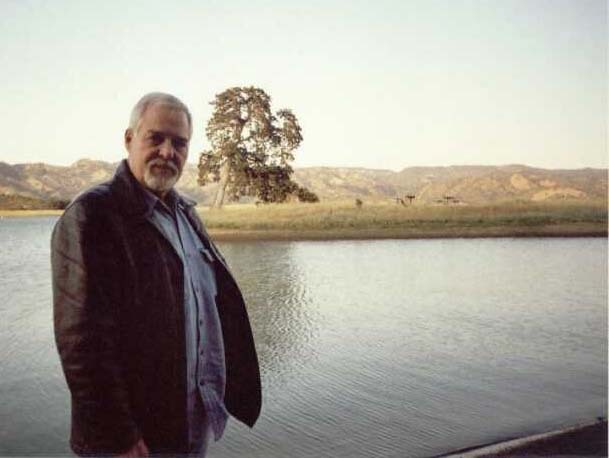 Baker and others believed that the murders of Robert Domingos and Linda Edwards was somewhat similar to the Zodiac’s infamous attack at Lake Berryessa. On September 27, 1969, college students Bryan Hartnell and Cecelia Shepard were relaxing together on the shore of Lake Berryessa, located more than 25 miles north of Napa, California. Sometime around 6:00 PM, Cecelia noticed a man walking among the trees but the couple dismissed him as harmless. Soon, the man appeared wearing a strange, hooded costume with a white crossed-circle symbol on the chest. He pointed a gun at the couple and explained that he had escaped from a prison and needed a car and money to escape to Mexico. The man said that he wanted to tie them up and drive away in Bryan’s car, parked up on the nearby road. Bryan and Cecelia agreed and were bound with pre-cut lengths of plastic clothesline. The man then stabbed Bryan in the back 6 times and then stabbed Cecelia 10 times. The man walked up to the road and wrote a message on the door of Bryan’s car which listed the dates of the two previous Zodiac attacks in Benicia and Vallejo. The similarities included the choice of a young couple at an isolated location near water, the use of a gun, and the pre-cut bindings. The killer used .22 caliber ammunition similar to the ammunition used by the Zodiac in the murders on Lake Herman Road on December 20, 1968. in the 1968 attack, the killer shot the female victim as she tried to run away; in the 1963, the killer shot the victims as they ran away. Detective Baker also noted that elements of the Berryessa attack may indicate that the killer had learned from previous experience. In the Santa Barbara incident, investigators believed that the killer may have failed to check Robert’s bindings and relied instead on Linda to secure the rope around his wrists. She may have left the bindings loose enough for Robert to free himself and fight back. The fear of the victims made them unwilling to comply with the killer’s demands to remain docile and cooperative. Robert’s actions may have sufficiently disturbed the killer that he planned to avoid repeating the same mistakes in future crimes. This may explain one element of the Zodiac attack at Lake Berryessa, the creation of a false story that the killer had escaped from a prison and simply needed money and a vehicle for his escape to Mexico. He convinced the victims that he did not intend to harm them and this calmed Bryan and Cecelia enough that they cooperated with the killer’s demands. The Zodiac told Cecelia to securely bind Bryan’s wrists but he also checked to ensure she had followed his instructions. Once the victims were properly restrained, the killer could be reasonably certain they could not fight back, cause him injury, or flee the scene. Bindings used by Zodiac at Lake Berryessa. Other elements of the 1963 case were somewhat different than the Zodiac crimes. The man who killed Linda Edwards and Robert Domingos stayed at the crime scene after killing the victims. He handled and moved the bodies of the victims as he dragged the couple into the shack. 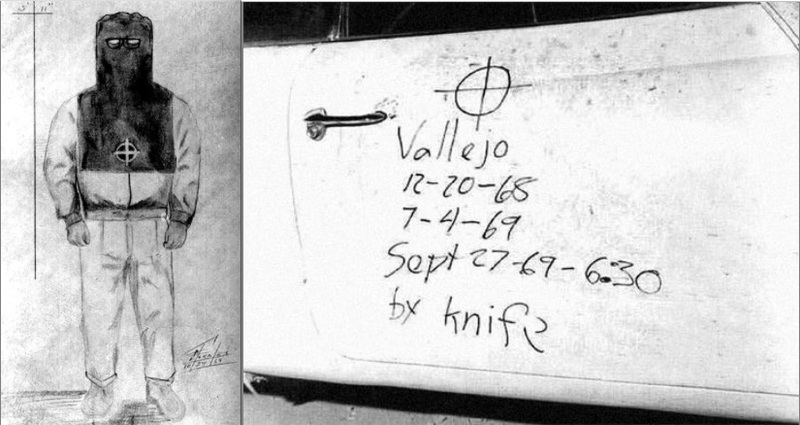 The Zodiac made no effort to transport the bodies of his victims and he did not usually linger at the crime scenes, although he did remain at the Berryessa scene long enough to write the message on the victim’s car door, and, in the San Francisco murder, the killer did remain long enough to remove a portion of the victim’s shirt to send with future communications. Beyond the retrieval of this evidence, the Zodiac did not handle or interact with his victims after death and there was no evidence of sexual assault, torture, or other interaction with the bodies. The man who killed Linda Edwards cut her top open and left her naked torso exposed. One aspect of the 1963 case seemed reminiscent of another case attributed to the Zodiac, the failed abduction of Kathleen Johns in March, 1970. Johns claimed that a man had disabled her car and offered her a ride to a gas station. Johns said that she later became afraid for her life and jumped from the man’s vehicle. Her station wagon was later found burned on the side of a road. Like the man who killed Robert Domingos and Linda Edwards, the man who allegedly abducted Kathleen Johns also engaged in an act of arson. 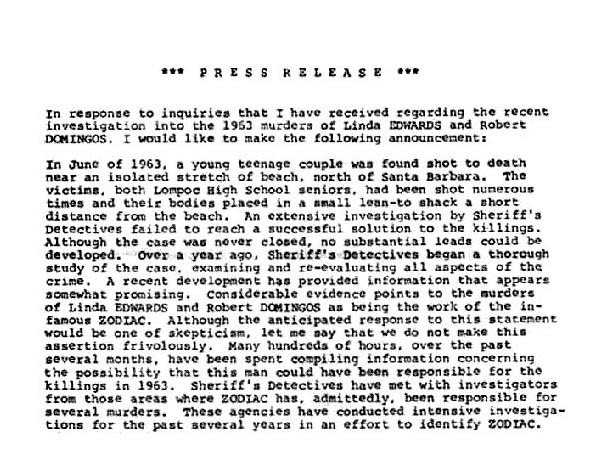 Investigator Bill Baker and the Santa Barbara Sheriff’s Department sent out a press release regarding the possible connection between the Zodiac crimes and the Domingos/Edwards murder. The theory that the murders dated as far back as 1963 further fueled the already-growing legend of the Zodiac killer. 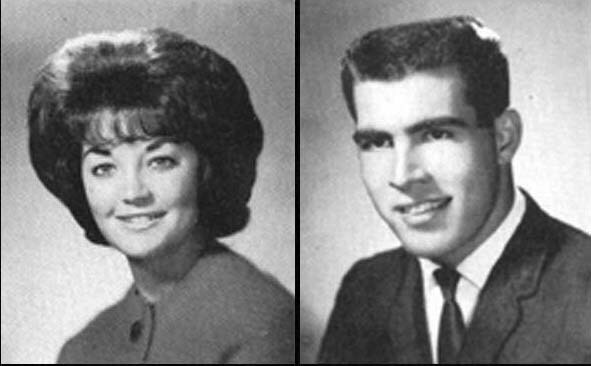 Baker and others continued to explore the suspected Zodiac crimes, including the unsolved 1966 murder of Riverside City College student Cheri Jo Bates. The man who killed Bates reportedly disabled the victim’s car and created a ruse to lure Bates by offering a ride. 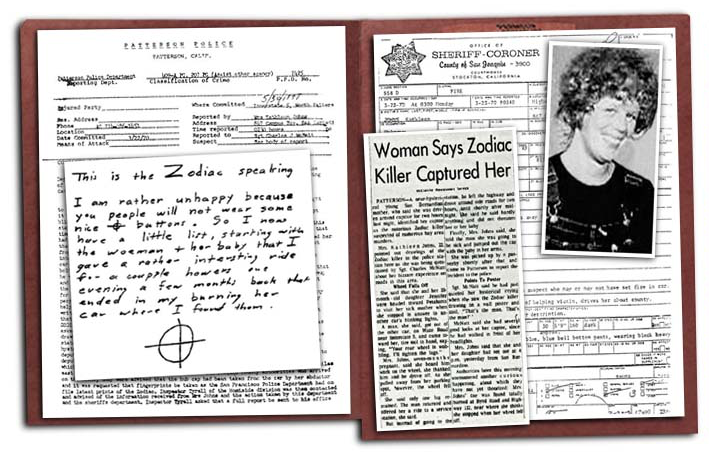 Newspapers revealed the possible link to the Bates case and the Zodiac responded in a 1971 letter taking credit for the crime. 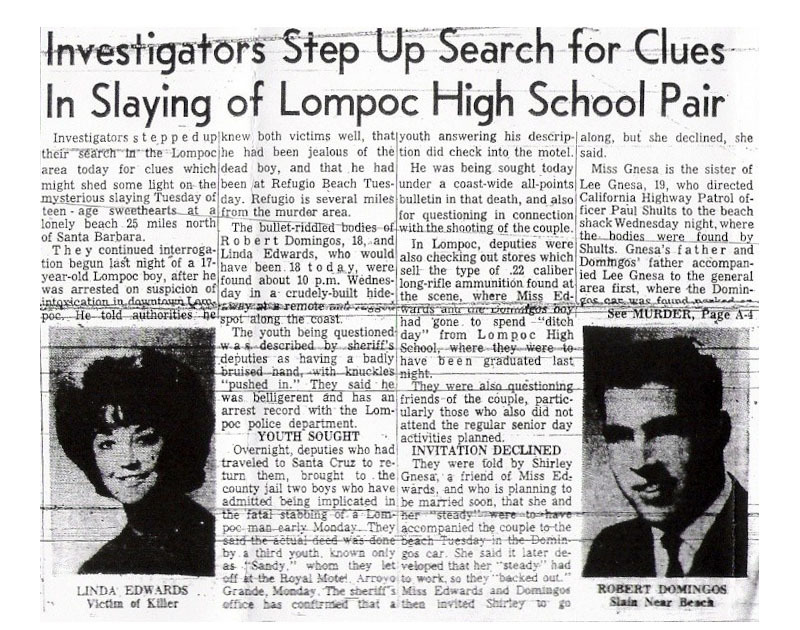 The letter claimed that police efforts to identify his previous crimes were “only finding the easy ones, there are a hell of a lot more down there.” The cryptic reference to other unknown attacks “down there” led some to believe that the Zodiac was referring to other murders in Southern California, including the 1963 murders of Robert Domingos and Linda Edwards. Years later, Bill Baker retired but he continued his own search for answers. In 2003, Baker met with Ken Narlow, the original Napa County Sheriff’s investigator assigned to the Berryessa case. Baker and Narlow discussed the similarities between the two unsolved cases and shared their memories of the investigations. Both men believed the Zodiac remained a logical suspect in the 1963 case. 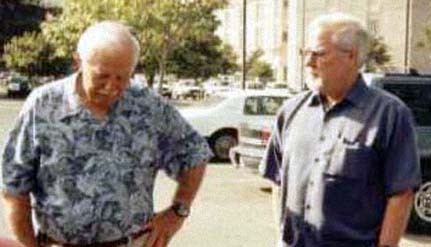 Retired investigators KEN NARLOW and BILL BAKER, 2003. Police psychologist John Averitt knew victims Robert Domingos and Linda Edwards when he was a teenager attending high school in Lompoc, California. In an effort to keep the story in the public spotlight, Averitt produced a video about the case and appeared in the 2017 History Channel series The Hunt for the Zodiac Killer. The man who killed Robert Domingos and Linda Edwards has never been identified and the case is still unsolved.